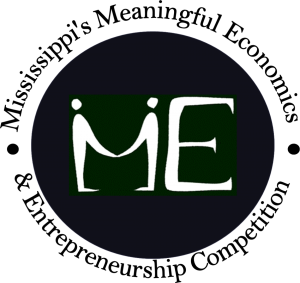 The ME* competition is a program designed to recognize student achievement in acquiring and applying knowledge in economics, entrepreneurship, and personal finance. The Competition is sponsored by the Mississippi Council on Economic Education, Foundation for the Mid South, The Federal Reserve Bank of Atlanta, New Orleans Branch and The Federal Reserve Bank of St. Louis, Memphis Branch. Basic Skills Test: The basic skills test is designed to assess student’s knowledge of economics, personal finance, and entrepreneurship. Each team works together to complete the test and turns in only one answer sheet. Students are given approximately 30 minutes to complete the test. Production Activity: The Production activities are designed to test students’ abilities to work together as a team, designate responsibility, and follow directions. Each team is given a set of directions and a time limit to produce an item according to directions. They are judged on the quantity and the quality of the item. Students are typically given approximately 30 minutes of production time, but this may vary. *Note: The biggest problems we have in this portion of the competition are that the students don’t follow directions and/or do sloppy work. Problem Solving Activity: Problem Solving Activities are designed to test students’ creativity and cooperation. Each team designs a good or service to solve a given problem, creates an advertising campaign, and makes a two-minute presentation before a panel of judges. The judges use a scoring rubric to rate the presentations in creativity, function, and team work. Please complete the form below and a member of our staff will follow up with more details.